At Electro Image LLC, we appreciate the amazing partnerships we have established with many fundraising organizations over the years. In an effort to better serve this growing portion of our clientele, we have launched a new sister company dedicated to providing fundraising materials to organizations such as schools, churches, athletic teams, youth groups, and other community institutions. We would like to take this opportunity to introduce this new venture to those organizations committed to ensuring that important community functions are able to continue. As school budgets shrink and pay-to-play fees rise, mounting a successful fundraiser has become an essential part of the role principals, athletic directors, coaches, parents, and the community play in keeping youth and other group activities thriving. According to the New York Times, a family with a yearly income of $50,000 can spend upwards of $5,500 to support youth participation in school athletics. Imagine over 10% of your family’s gross income being set aside for children’s activities that once were a free and expected part of the school experience. Helping your organization succeed is why we are excited to move in a new direction, offering an innovative, results-oriented fundraising solution: Fastlane Fundraising. The mission of Fastlane Fundraising springs from one simple concept: we believe that a fundraiser service poised to make more money from your efforts than the actual fundraising organization itself is not consistent with the community spirit we wish to promote. Minimum out-of-pocket initial investment: All that is required to begin is a $100.00 deposit from your organization. We offer immediate free shipping of the DFY discount cards, and your organization’s on-file credit card is not billed for 30 days. When you add the normal 30-day processing cycle for credit card payments, your organization has a 3-8 week jumpstart to promote the fundraiser and collect enough money to pay for all costs. This fundraiser is designed to pay for itself and to generate maximum profit on your behalf. 70+% profit can be generated: With a flat rate for a minimum 250-card investment at three different “Done For You” donor participation price levels, your group keeps all profit above the purchased card fee. Your donors have three suggested retail price choices of $15, $20, or $25, which makes for a more attractive offer and increases sales. What Groups Can Benefit From Fundraising Cards? Fastlane Fundraising seeks to reach a broad range of community groups and simplify the methods that organizers use to raise much-needed funds, eliminating the usual burdens associated with fundraisers. The dual focus of increased profit with less effort for fundraiser participants, in addition to a value-added product for donors, is what gives this method such broad appeal. We have looked closely at how funds are usually raised for community groups such as firefighters, police, and EMTs; the labor-intensive efforts of churches, religious groups, and even scout troops; and sometimes the need for several fundraisers to generate enough funding for school athletics and extracurricular programs. Fastlane Fundraising combines the methods that have worked best in the past with the convenience of efficient web portal and smartphone app operability. A FREE twelve-page fundraising toolkit PDF with tips and scripts for making the most of each member’s efforts. Customized, durable discount cards with eye-catching graphics that reflect your organization’s cause or school activity. Our graphic designers have poured their creative expertise into designing card templates that are absolutely stunning. Productivity tools Our low-cost order forms, envelopes and accounting sheets make it easy to keep all the important customer information and financial data in one place and secure all at wholesale pricing. 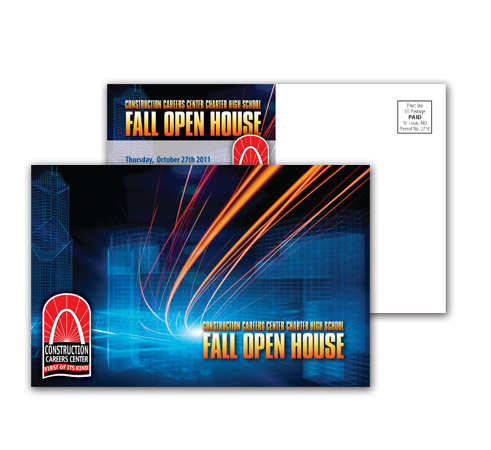 Colorful and informative promotional materials can be creatively designed by our designers and printed on high-quality materials to give your organization a professional look. If your group desires, an aggressive campaign with yard signs, vinyl banners, plastic mailers, or door hangers can inform the entire community of your group’s needs, causing your results to skyrocket. We offer these materials at wholesale prices to help promote and market your upcoming fundraiser. A high-value product for donors to take advantage of savings of up to 50% from major local and national retailers and service providers. When the donors enter their zip code on our FREE app after registering their member card, they will have access to almost 450 big name merchants and thousands of local businesses across the country at 200,000+ locations nationwide! Your donors will be so excited about the selection of top-flight merchants, services, and suppliers offering discounts that add up to substantial savings. Visit the Fastlane Fundraising DFY page and click the ‘Kick the Tires’ section to see our web portals to get a glimpse of the incredible discounts being offered at some of the best merchants nationwide from our desktop version. Your donors are able to present coupons at the point of purchase by also downloading our FREE app on their smartphone from the Apple Store or Google Play, or by printing coupons from a desktop computer. Included in our packages is our Travel Engine, which has deep discounts on hotels and rental cars. Think of the popular travel websites without the 10% to 40% commissions they tack on to the cost. Our Travel Engine offers big savings! Your donors will love the combination of useful entertainment catalog, money-saving discount coupons, and smart technology, and you’ll love the impressive funding results for your organization. Once you launch your first campaign, you’ll see why we are so excited to introduce Fastlane Fundraising, our newest venture dedicated to helping your community organization thrive.